Nehl Horton, IGFA’s seventh president, is a veteran business leader, communicator and public policy advocate with 30 years of experience in business, government, politics and journalism. Nehl is an avid and accomplished recreational angler with a deep passion for all forms of game fishing from conventional to fly. Nehl has fished on five continents and in more than 20 countries around the world from Argentina to South Africa as well as more than 25 U.S. states from Arkansas to Wisconsin. 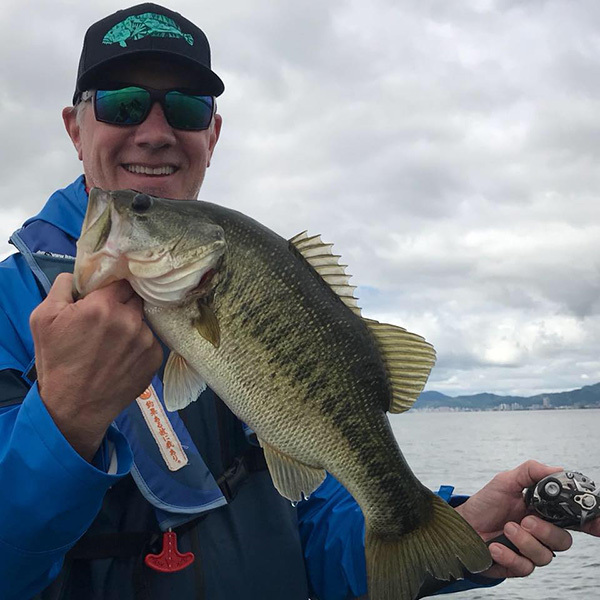 Over the last 25 years, Nehl has caught more than 60 species of freshwater and saltwater fish wearing his favorite and now dilapidated Rapala hat. Over the course of his career, Nehl has represented some of the best recognized and most respected brands in the world, including beverage industry leaders Coca-Cola, Miller and Coors, as well as pharmaceutical giants Pfizer and Novartis. Prior to joining the IGFA in September 2018, Nehl most recently served as senior vice president and chief communications & government relations officer for foodservice distribution leader Sysco Corporation. Prior to that, he spent nearly a decade at Miller Brewing Company and MillerCoors, where he last served as chief public affairs & communications officer. Nehl’s deep international experience includes stints as head of global media relations for Novartis, based in Basel, Switzerland, as well as vice president, public affairs for The Coca-Cola Company’s Europe & Eurasia Group, based in London and director of international government relations based at Coke’s Atlanta headquarters. Early in his career, Nehl held several senior government and political communications roles, including press secretary for U.S. Senator Wyche Fowler, Jr. of Georgia; communications director for the Democratic Senatorial Campaign Committee; and press secretary and director of legislative affairs for former Atlanta Mayor Andrew Young. Nehl began his career as a Staff Writer for The Atlanta Journal-Constitution. A native of Atlanta, Georgia, Horton graduated from Duke University in 1985 with majors in English and Political Science.